In other news we recently brought our dry cows up from the bottom pastures so we can keep an eye on anyone that’s calving that we didn’t pull out previously. Good thing we did because Saturday night we saw a second calf heifer pushing out there in the field and eventually needed help giving birth to two healthy calves, TWINS, a boy and a girl! 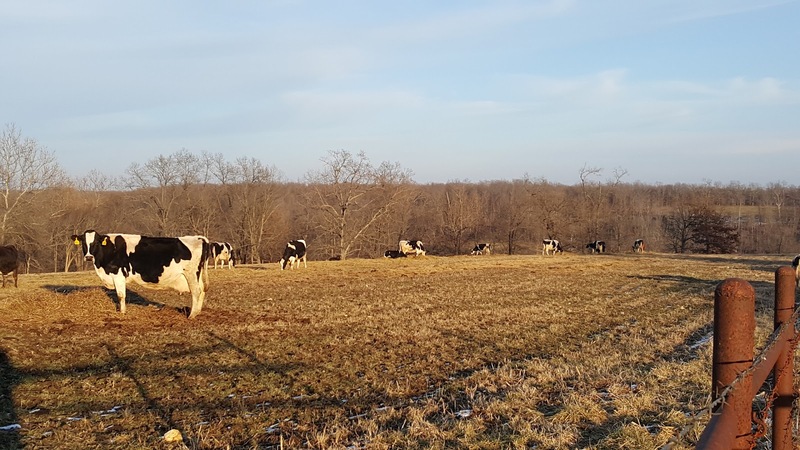 I thinks these cows were enjoying the snow melting and taking in the warmth from the golden sun in late afternoon! 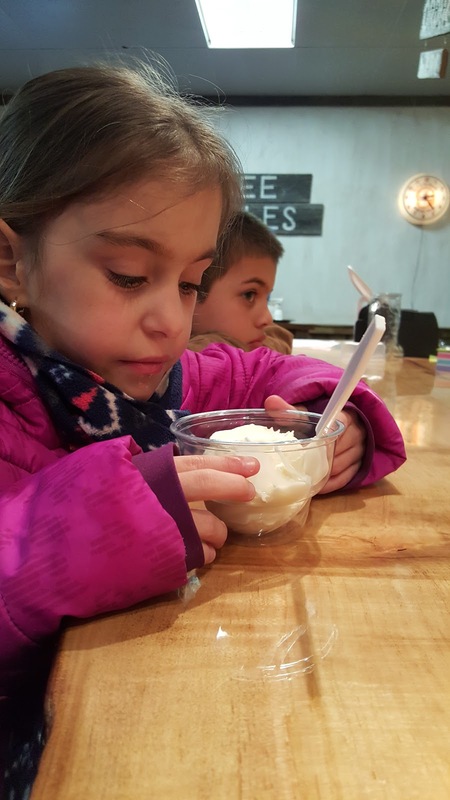 A sweet treat over the weekend was definitely on the menu since Bryce did so well at his basketball game Friday night! I made a deal with him that if he hustled, was aggressive on defense, attempted at baskets then I would take him and his sister out for ice cream on Saturday! Oh the leverage of ice cream, lol!!! 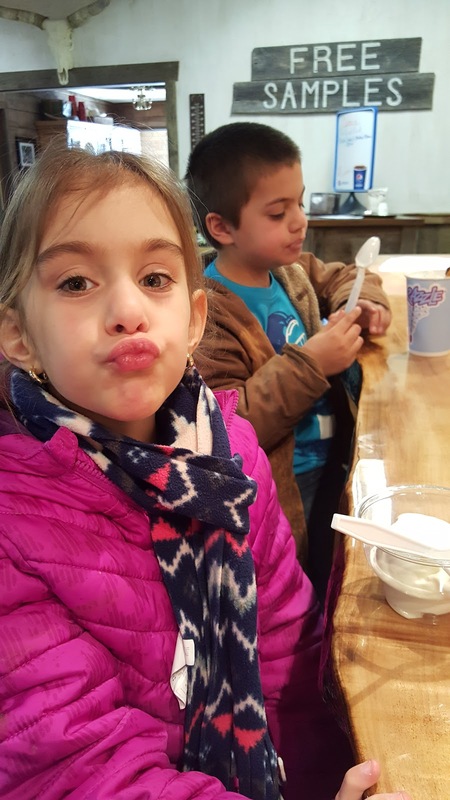 You can get toppings mixed in or candy but, Maddie just wanted a plain scoop of vanilla…and Bryce was disappointed that his sister got her ice cream first, since he was the one that did good at the game!?!! Oh the trouble…. Saturday was the day for treats!!! 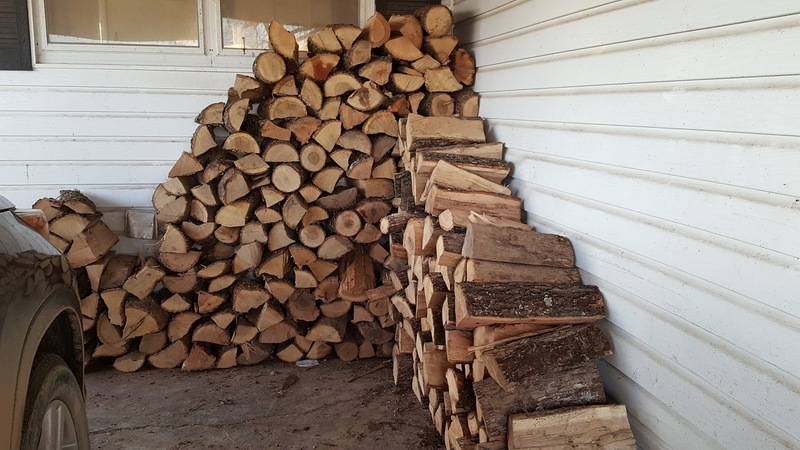 In the form of fresh, dry firewood…a nice warming treat! 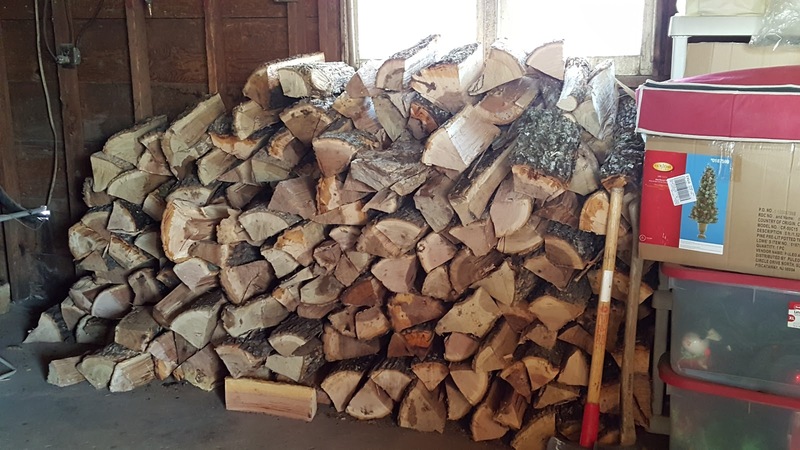 It’s nice to look in the wood room and see a big stack of fire wood right next to the stove. First we made the mistake of leaving the firewood in the elements in a “pile” outside…big mistake, we’re learning! We aren’t use to this firewood business, haha! We had quite a bit of over flow so we started stacking under the carport and eventually we will move it into the wood room as that pile dwindles down. Oh to the weekend of simple treats…sun, ice cream and firewood!